The Vernon Community Arts Centre, operated by the Arts Council of the North Okanagan, is located in Vernon, British Columbia. 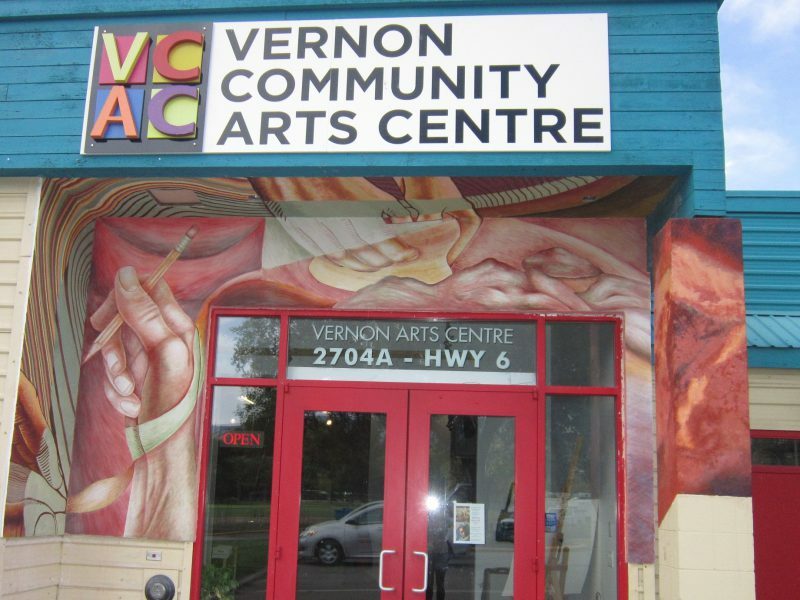 The VCAC is a vibrant, community based facility providing year round arts educational courses to the Greater Vernon area. VCAC offers a variety of adult and youth art classes and workshops for beginner, intermediate and professional artists of all ages. Classes offered include painting, clay, mixed media, stained glass, glass fusing, drawing, glass beadmaking, digital animation, print making and fibre arts. For those who wish to work independently on their own projects at their own pace, the Vernon Community Arts Centre provides studio drop in sessions. Studio drop in is an opportunity for individuals to interact and collaborate with other like-minded artisans. Click here for studio drop in hours. The Joining Hands program provides adults living with a disability the opportunity to participate in a variety of artistic activities. The Vernon Community Arts Centre’s Centre Gallery showcases the work of ACNO members and provides individuals the opportunity to exhibit and sell their art work. If you are interested in becoming a member of the Arts Council of the North Okanagan, visit their website at www.acno.ca.